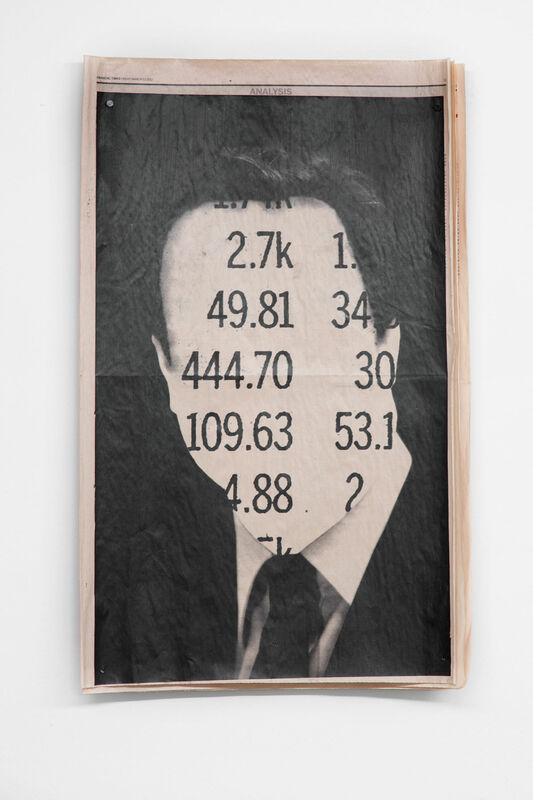 With the exhibition Americas Greatest Hits the London-based artist duo kennardphillipps are responding to the rise of right-wing populism, not just in Austria but around the globe. The fragility of democracy and the dangerous undercurrents of current political speech and institutional violence stand at the center of this exhibition produced specifically for, and in response to, EXILE’s space and close location to the seats of power of the current right-wing ÖVP/FPÖ government. Entering the wooden, ground floor space of the gallery a large, almost wall-sized image is depicting a pictorial night shot of the brightly-lit Austrian Parliament building flying the Austrian flag. On the opposite wall hang three individual banners showing red-white-red colored horizontal stripes, as in the Austrian flag. All works are printed on extremely thin dust sheet not intended for printing on and appear smeared if not at times obliterated. Between the wall works a record player is playing a single track, manually set on repeat. The image of the Austrian parliament building with its panoramic perspective and scenic lighting could be sourced from countless amateur tourist smartphones or stock-photography websites. It’s generic but well-composed pictorial quality is only ruptured by the fragility of it’s own printing material which yet again seems to enhance the image’s appearance as almost skilful and, to a degree, oddly painterly. As a combination of perspective, lighting, scale and technique the work refers to a particular genre of large-scale representational painting found in most buildings of socio-political powers aiming to underline the owner’s or institution’s importance and, as a final goal, their longevity. Installed on the opposite wall are three banners depicting the colors of the Austrian flag. 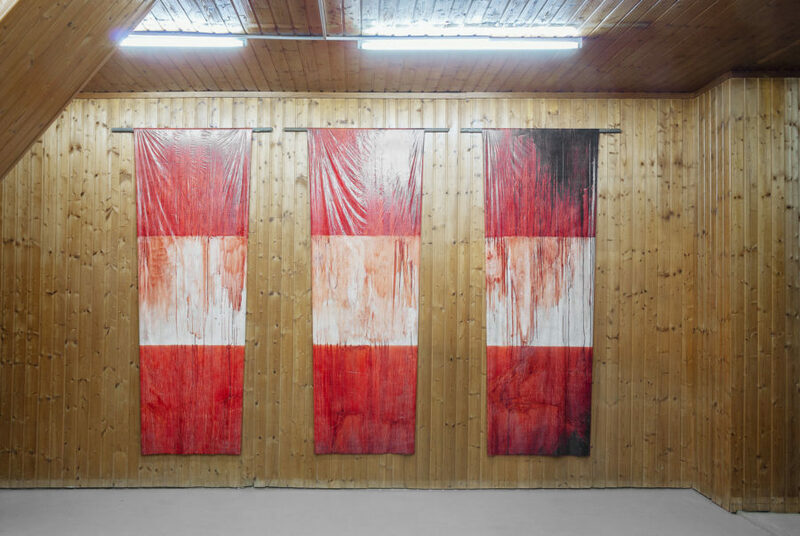 These seemingly life-size representations of an actual flag seem to allure to all too common nationalist sentiments felt not only in Vienna but across many cities and countries. 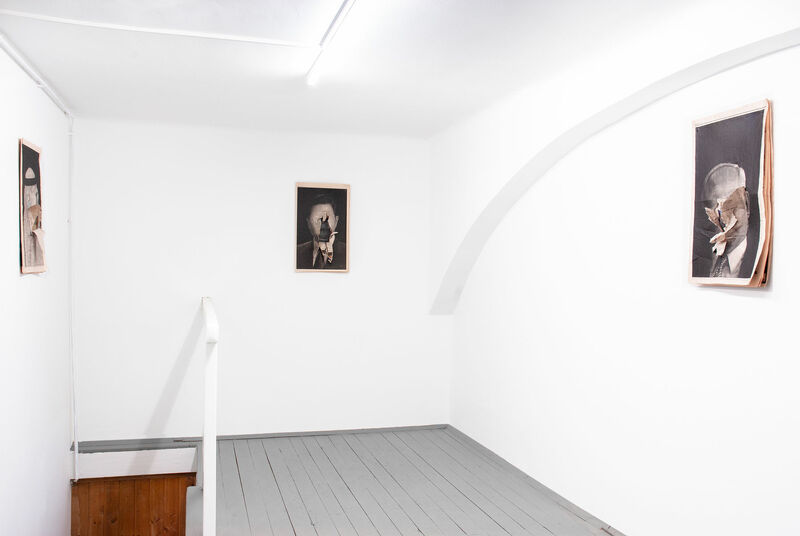 Only loosely attached to the gallery’s wooden wall onto wooden bars, their vernacular identity reminds uncomfortably of traditional Trachtenvereine, nationalist Burschenschaften or patriotic party congresses. Though here, the pictorial and painterly smears of the image of Parliament have turned into tracks or traces diluting the distinct color blocks of most national flags. The red color at top and bottom quite literally bleeds into and across the center white. The unabsorbable ink is looking for ways or channels to attach itself onto a hostile surface not meant for such purpose. A simple technological failure metaphorically questions national identity and individual socio-political responsibility. Central in the ground floor space is the evolving, process-based work that gives the show its title. In response to kennardphillipps’ artwork the album sleeve Americas Greatest Hits lists all unarmed fatalities of US police shootings since 2015. London-based intermedia artist Mukul Patel has initiated the recording of an LP as a memorial to the victims. 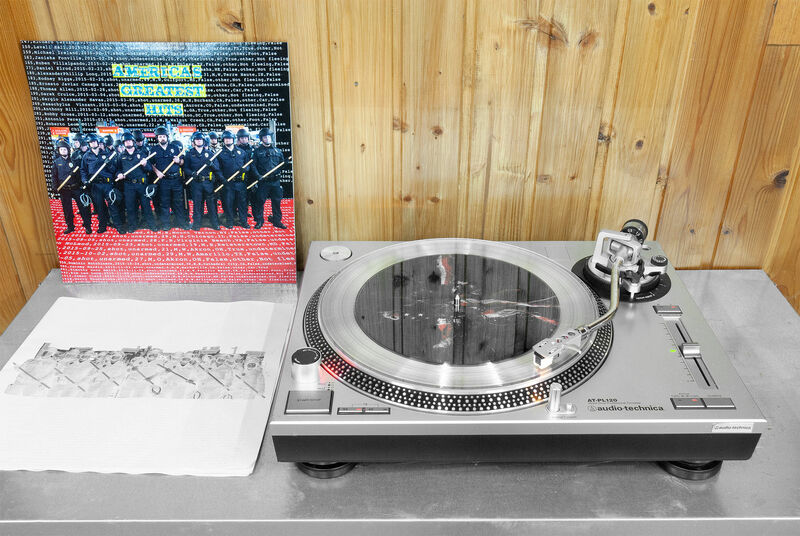 This initial edition contains a single track produced using the police body cam recordings of violence perpetrated against citizens who were neither armed nor attacking. 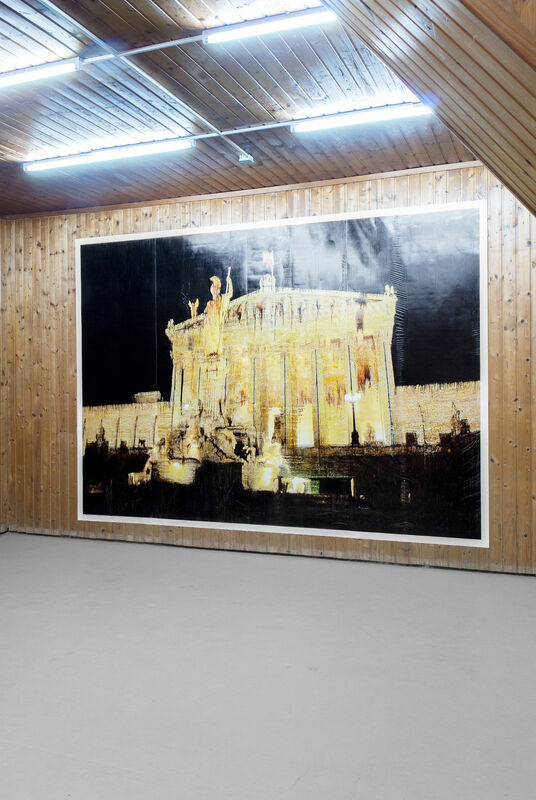 Images and audio together form two aspects of an environment in which visitors are invited to reflect upon the current crisis of our democratic institutions in relation to the global rise of right-wing populism. It is a reminder that history can all too easily repeat itself if we do not learn from it. 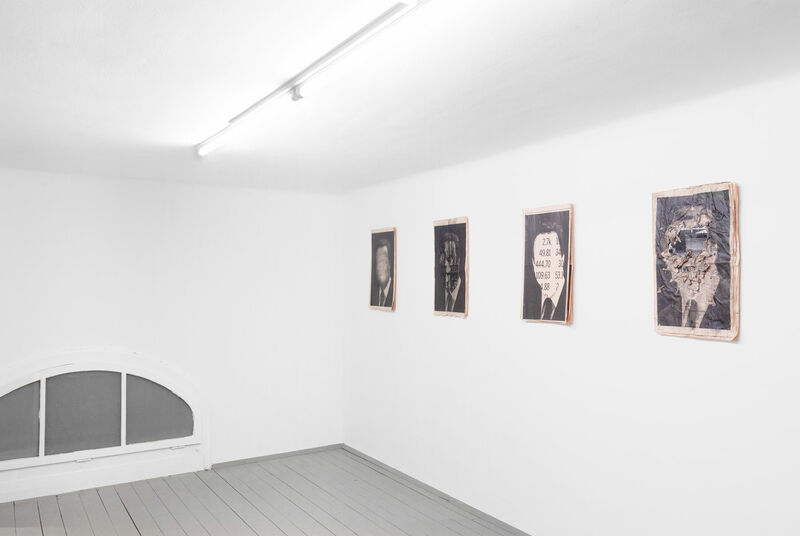 The gallery’s upstairs space features two related series of works on paper depicting full-page portraits of political figures. 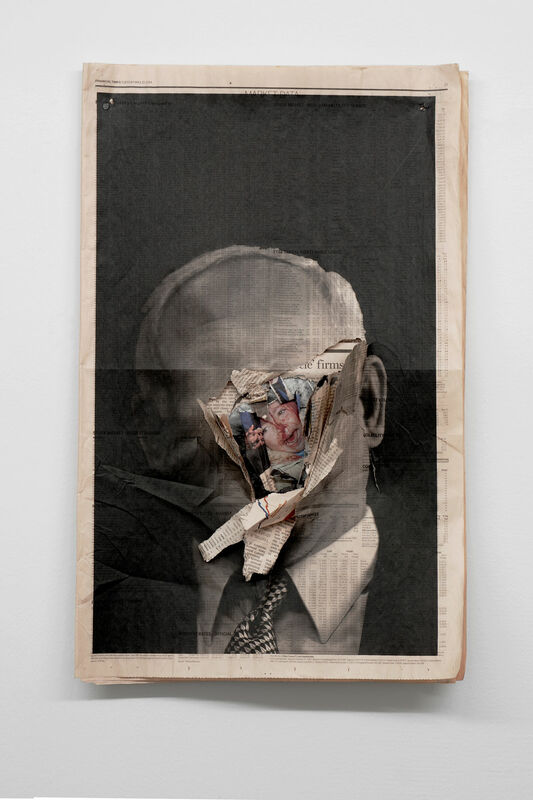 These portraits, printed onto the pages of the Financial Times, are in various states of abstraction and disfiguration. 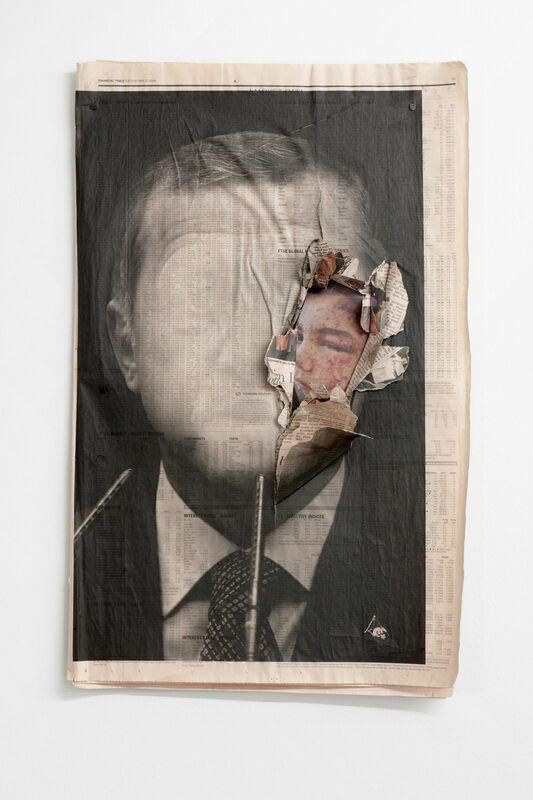 In a first part of the series (2012), portraits of male world leaders were selected by the artists due to their questionable human-rights record and relation to totalitarian structures. Yet, all of the portraits have their sensory organs erased. 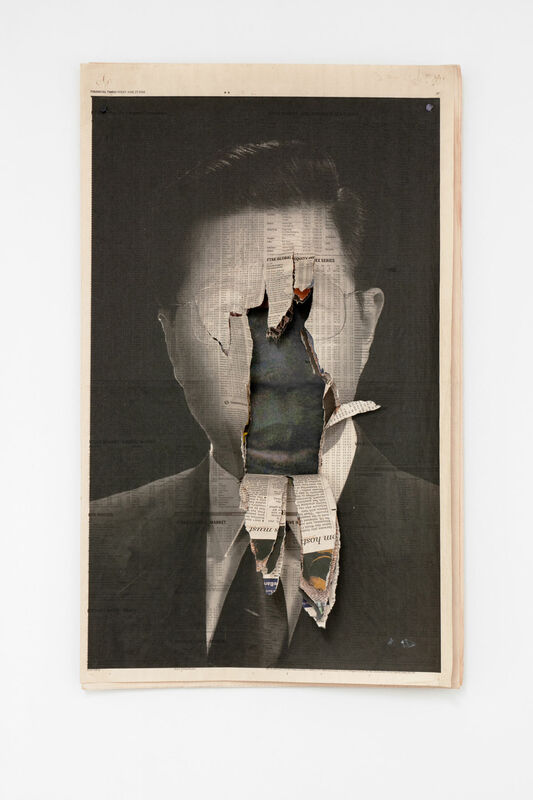 The specific identity of the politician portrayed subsumes itself behind the reductive representation of the portrait’s purpose and essence. Individuality and political relevance are removed, revealing the typology of masculine pathological power itself. 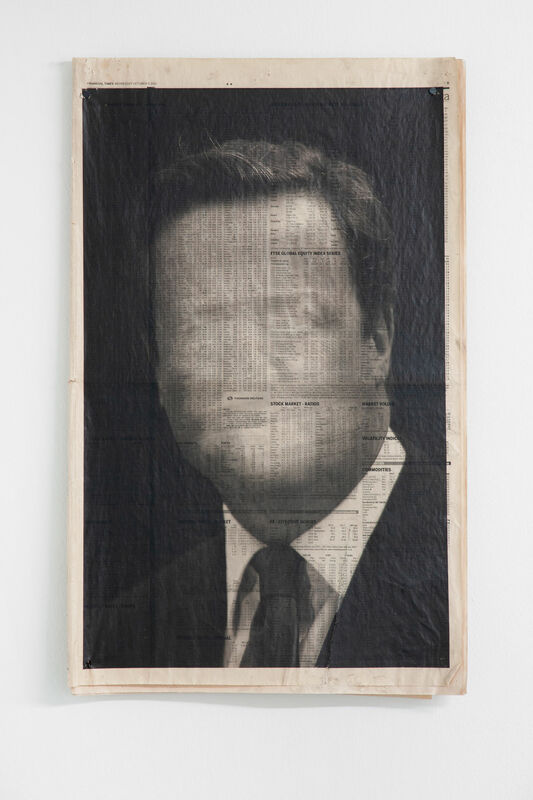 The second part of the series (2016) extends this erasure repetitively on the portrait of always the same politician. 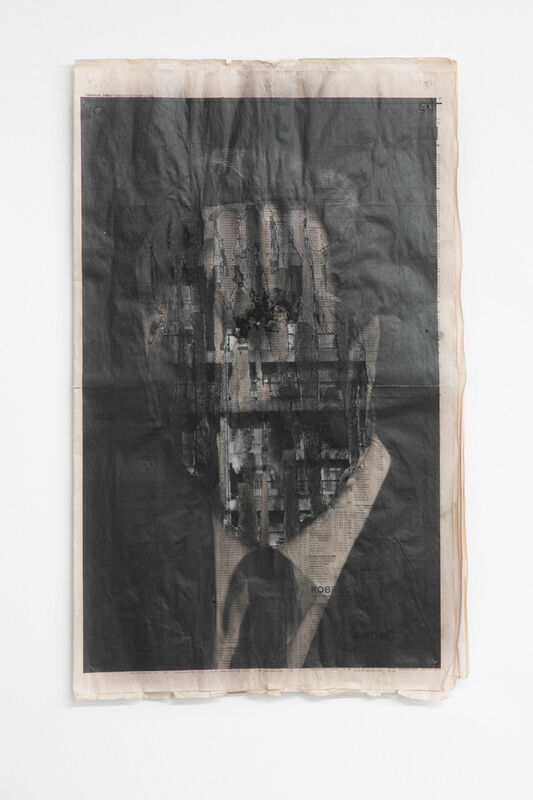 Increasingly these erasures rip into the actual portrait and turn into powerful tears revealing underlying pages of the newspaper issue. 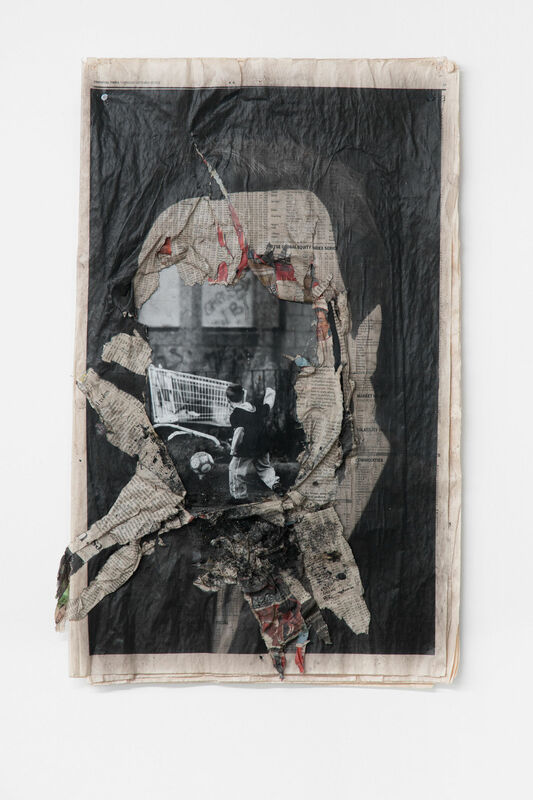 This physical and forceful rupturing turns the traditional process of paper collage on it’s head. Instead of assembling new meaning, in the classic tradition of e.g. 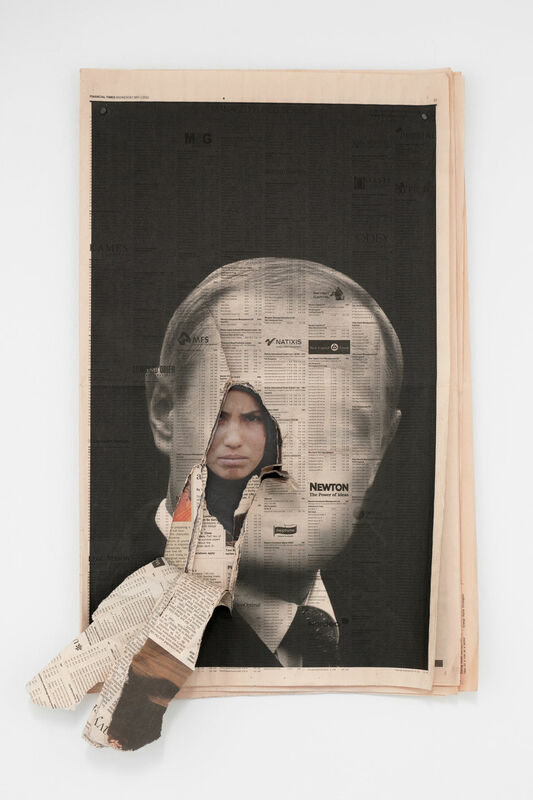 John Heartfield, these works disassemble the pages of the newspaper at large, revealing a torn, fragmented landscape that seems to allow a view inside the person of power’s agenda and mindset. 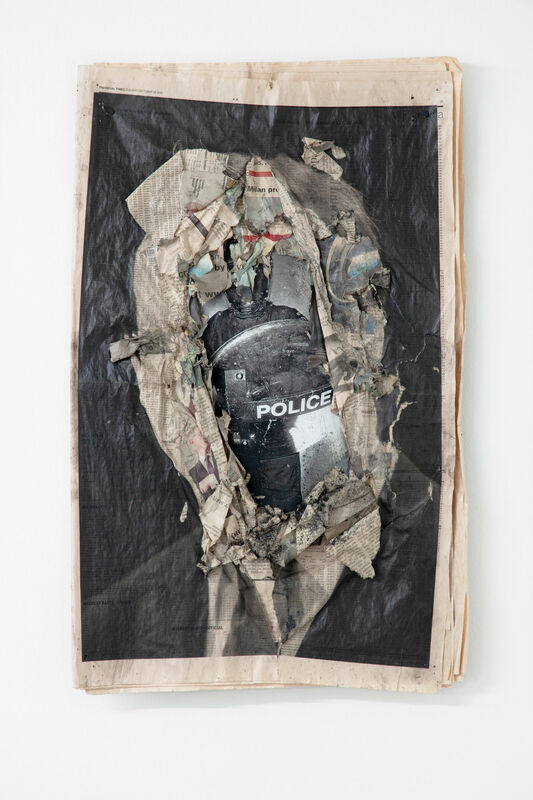 The aim of our second exhibition by kennardphillipps is to take action within the means of an contemporary art exhibition space to contribute to the challenging political discourses of our time. 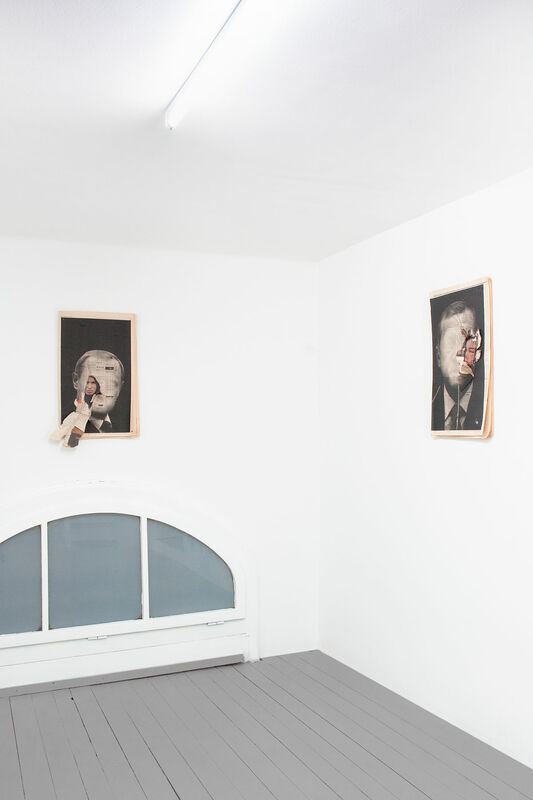 The exhibition takes the local political situation as an entry point to the global problem of right-wing populism. It is not a local or national problem as it is a global danger of an erosion of democratic values and liberties we are facing. Nov, 29, 7 -9 pm: As part of this exhibition, Mukul Patel will produce a second track to the album Americas Greatest Hits in a live collaboration with Vienna-based intellectual Fahim Amir. Further tracks will be created with other collaborators at future exhibitions until the LP is complete. The final LP will later be released, with proceeds from the sale going to support the legal cases being brought by families bereaved through police violence. 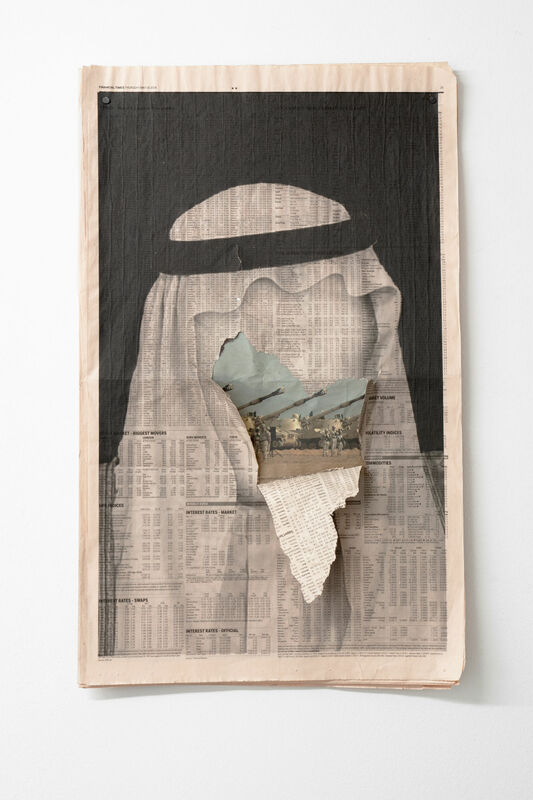 kennardphillipps is a collaboration between Peter Kennard and Cat Phillipps working since 2002 to produce art in response to the invasion of Iraq. 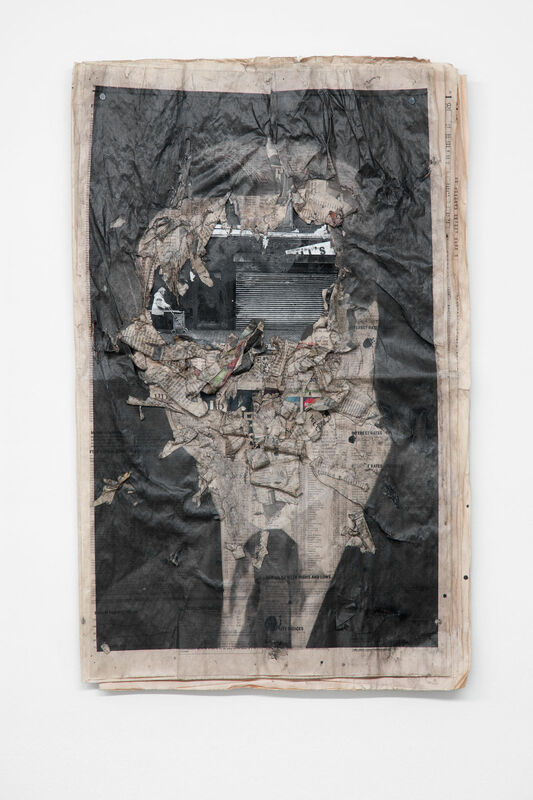 Their practice has evolved to confront power and war across the globe and is made for the street, the gallery, the web as well as newspapers & magazines. The artists also lead workshops that develop peoples’ skills to help them express their thoughts on what’s happening in the world through visual means. The work is made as a critical tool that connects to international movements for social and political change. © EXILE, Vienna AUSTRIA E.U.